Dryer sheets as a cleaning tool ? Placing a sheet at the bottom of the wastebasket, helps eliminate odors found in wastebaskets. Placing an individual sheet at the bottom of a laundry bag or hamper will accomplish the same results. Wiping up sawdust, on the shop workbench, from drilling or sandpapering is easy. A used sheet will collect sawdust like a tack cloth…or you could just use a tack cloth. Rubber tile floors are made of natural or synthetic rubbers colored by mineral pigments. It has a non-porous, smooth surface resistant to most stains, abrasion and cleaners. Although very durable, rubber floors can be damaged by oil, solvents, abrasive cleaners, harsh alkalis and sunlight which can discolor the rubber. All of the above can make the floor lose its elasticity. Vacuuming is the easiest way to remove dust and lint. 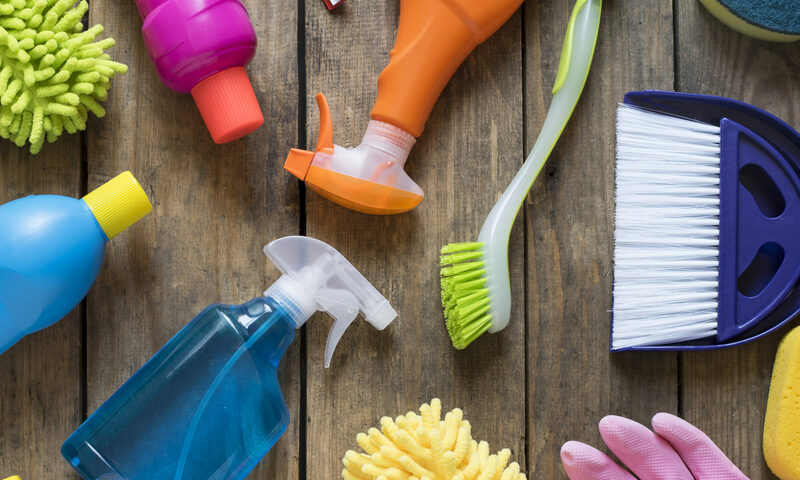 Regular cleaning is best with detergent and water. Rubber floors can be finished if a shiny surface is desired. Be sure to check the helpful hints for the Do’s and Don’ts of stain removal and Six Sure Ways to Set Stains. Dish washing or fine fabric detergent, white terry towels, white vinegar, warm water, measuring cup, spoon, vacuum. Work on removing the stain as soon as you notice it. The longer the stain is left on the carpet the greater the chances are of the stain setting. In every case remove all excess wet or dry material before attempting to clean. Blot wet materials using a white terry towel (check helpful hints for a detailed description of blotting). Vacuum excess dry materials or gently scrape up materials with a spoon. Mix 1/2 tsp. of dish washing soap or fine fabric detergent into 1 (8 oz. )cup of warm water. Apply a small amount, blot or tamp and repeat until the stain is removed. Be patient. Complete removal may reqiure repeating the same step several times. Tamp down on the carpet, do not scrub as this may disort the texture of the pile. Cover the stain with the towel and press down repeatedly to absorb the stain material and detergent. Once the stain is completely removed, rinse the area with cold water; blot with a dry white terry towel until all moisture is removed. Repeat this process several times to remove cleaning solution residue. (Residue can attract soils). If the spot or stain turns brownish when dry, mix 1 part white vinegar and two parts water. Apply a small amount and blot. Repeat only once. Never use a stronger concentration than is recommended. Never laundry detergent or automatic dish washing detergents because they may destroy or dye some fibers. A dryer sheet at the bottom of your wastebasket, or in the laundry hamper, gym bag, sneakers, shoe cupboards, or hockey bags will help eliminate odors. To keep items smelling fresh, put a sheet in your stored luggage, skates, or car. Your pillow will always come with an instructions label. Before deciding to wash or dry clean your pillow, read the instruction label. If your instructions advise you to only dry clean your pillow, do not attempt to wash it just to save a trip and few dollars. Take your pillow to the dry cleaners and ask them to do the job. If you are going to wash you pillow in the washing machine, try and do so in a separate cycle without any other linen or washing. Pillows should always be washed on ‘delicate’ cycle. This prevents them from losing their shape. Pillows have different fillings and therefore, for best results always use a mild soap, if possible avoid laundry powder detergent. Liquid soap is usually the best option to go with. When the wash cycle has finished, go through the rinse cycle at least two to three times to make sure all the soap has been completely washed out. Do the same for the spin feature to take out the maximum amount of water from the pillows. If you are washing your pillows by hand, fill a tub with warm water, mild liquid soap and a few drops of bleach. Immerse the pillow completely into the water and cover the tub. Leave for about half an hour. Then squeeze the pillow a few times to get all the dirt out. Rinse under running water for at least 15 – 20 minutes, or till you feel that the soapy feel has disappeared. Place on a flat surface to get rid of excess water. Whether you wash your pillows in a washing machine or hand wash them, it is important to make sure you have a completely dry and fluffy pillow. Pillows require plenty of space in the dryer, so do not put any other articles to dry with them in the dryer. During the dry cycle add some new or clean tennis balls. As the pillows have filling in them, they will require a few cycles to be completely dry. Once you feel they are dry, give them a few punches to bring back the fluffiness, and leave in an airy and moisture free room for a day or so, as there may still be some moisture deep inside the pillow that you may not be able to feel but is a perfect breeding ground for mould. Once finished, you are ready to use your pillows again.